Rachael received her Masters in Physics from Lancaster University, UK, in 2007 where her dissertation project was to investigate the occurrence of pile-up/sink-in caused by nanoindentation tests on different materials and crystal orientations. She continued her studies by completing a Masters of Science in Environmental Technology also from Lancaster University where her dissertation was to use electrical spectroscopy to determine the porosity of aquifer sandstones. After a year of travelling and working Rachael returned to academia to undertake a PhD within the Engineering Department at the University of Southampton, UK which she completed in 2014. The PhD thesis was entitled Development of infrared techniques for practical defect identification in bonded joints and was sponsored by the Lloyd's Register Foundation and the UK Engineering and Physical Sciences Research Council (EPSRC). Rachael was awarded an EPSRC Doctoral Prize Research Fellowship (2014-2015) at the University of Southampton where she worked on development of strain based techniques non destructive inspection techniques for onsite application. Following on from this Rachael was Research Fellow at Southampton for a further 18 months where she worked on an Innovate UK funded project entitled Residual Stress and Structural Integrity Assessment using Thermography (RESIST). In 2017 Rachael moved to the Defence Academy of the UK where she lectured on materials and structural integrity based courses while continuing her research into inspection techniques for assessment of thermal fatigue and defect detection. 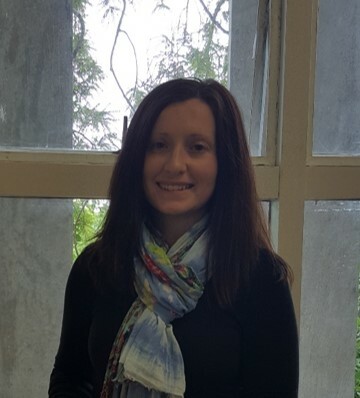 Rachael joined the University of Waikato in 2018 where her research will continue along the theme of developing and using inspection techniques to reveal more information about systems. Rachael is currently looking for PhD students to work with her in the field of non-destructive evaluation looking at advancing existing techniques, finding new applications and tackling current inspection challenges. 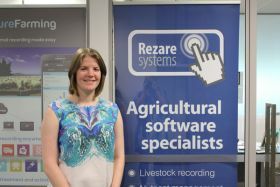 Rachael is a member of the Waikato Robotics, Automation and Sensing (WaiRAS), Centre for Advanced Materials and Manufacture (WaiCAMM) and Infrastructure and Construction Research Groups. Rachael’s research interests are in non-destructive evaluation of materials, components and structures. Such inspection applications range from online manufacturing quality control to in-service through life inspections. Research to date has largely focused on the use and development of using imaging techniques such as pulse phase thermography (defect detection), thermoelastic stress analysis (stress distributions) and digital image correlation (displacements/strain) to gather such information. Looking forward it is envisaged that such imaging techniques could be coupled with other sensing systems to reveal complimentary information to build more complete understanding. The overall aim is to build from detecting defects towards assessing the impact of those defects on the component, i.e. there is a defect, now do we care? Work encompasses a variety of traditional and advanced materials, manufacturing and structures. Olafsson, G., Pujol-Soliano Dualde, A., Tighe, R. C., & Dulieu-Barton, J. M. (2017). The influence of sandwich structure core materials on thermographic NDT techniques. In 21st International Conference on Composite Materials. Conference held Xi'an, China. Crump, D. A., Sathon, N., Ahmed, S. I., Allen, T. M., Tighe, R. C., Reed, P. A., & Dulieu-Barton, J. M. (2017). Development of a technique for evaluating damage in composite overwrapped pressure vessel using TSA. In 21st International Conference on Composite Materials. Conference held Xi'an, China.